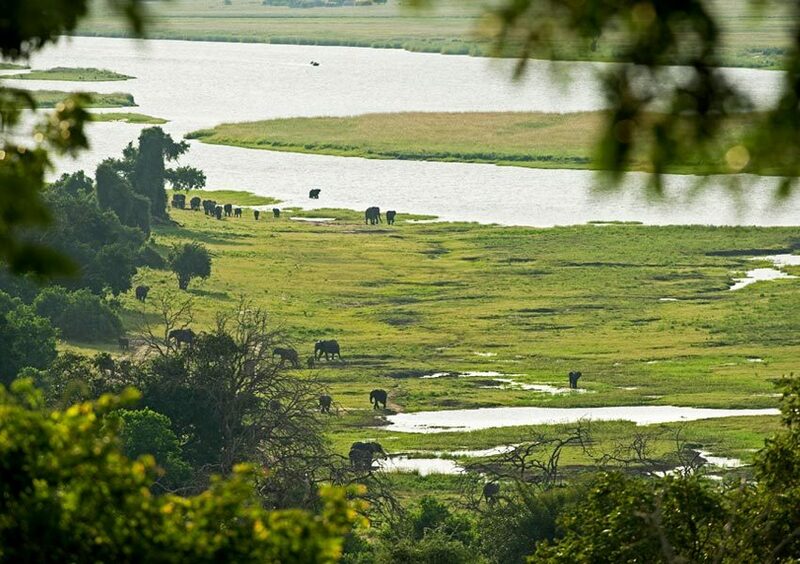 Chobe Chilwero is a luxurious riverside retreat in the heart of the bush. 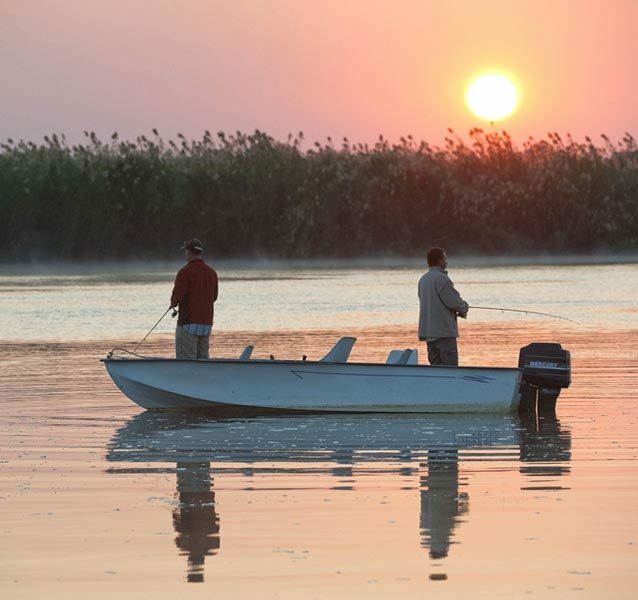 Located on the edge of the Chobe National Park, with brilliant views of the Chobe River. 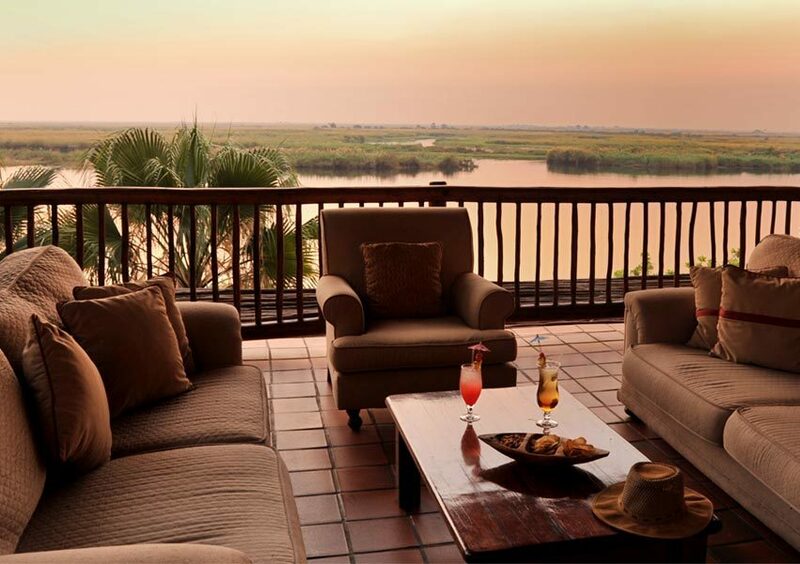 Sitting above the Chobe River, Chobe Chilwero lodge offers unparalleled panoramic views across the islands and floodplains as far as Namibia. 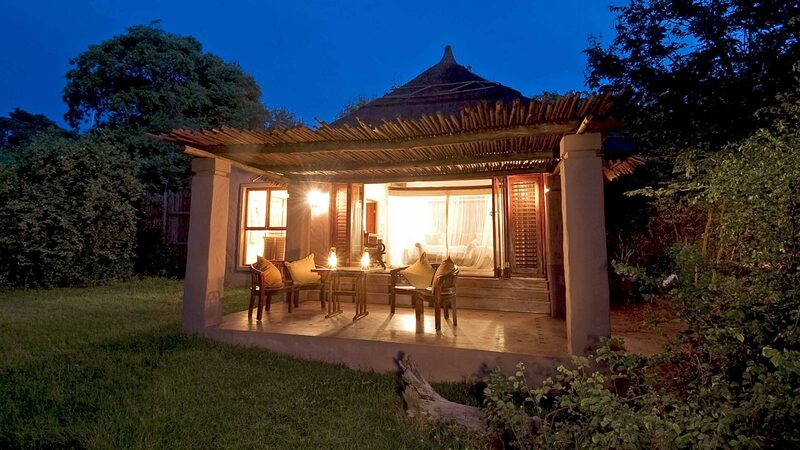 Chobe Chilwero is a luxurious lodge with just 15 guest cottages. 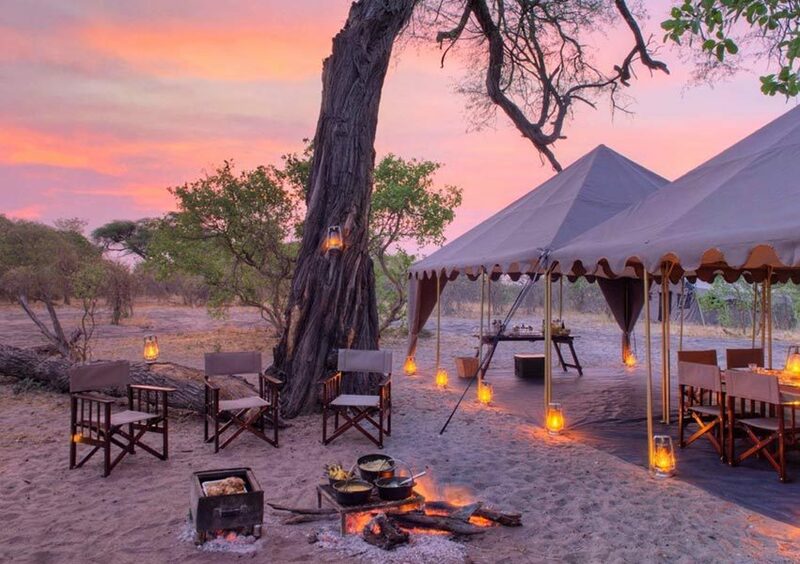 It boasts perhaps the best spa on the Botswana safari circuit. 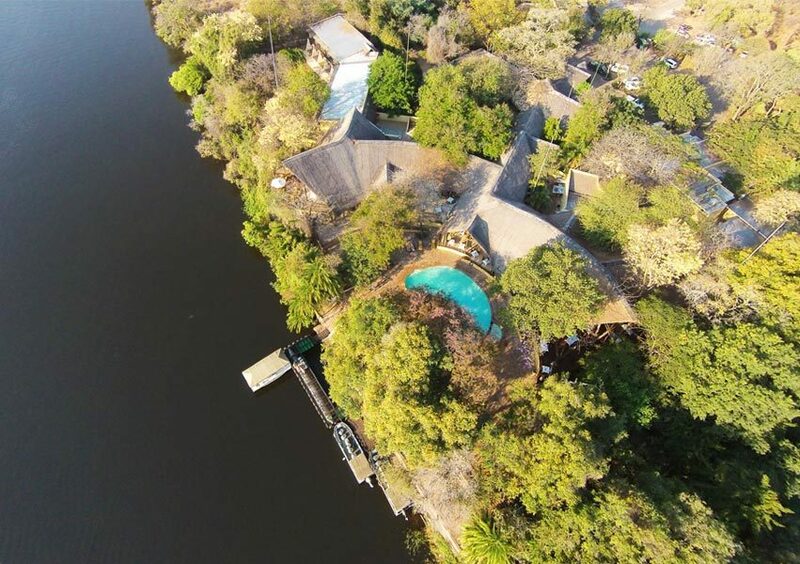 Relax in the split-level swimming pool, unwind with a pampering session in the spa or enjoy the gourmet food that Chobe Chilwero lodge has become known for. 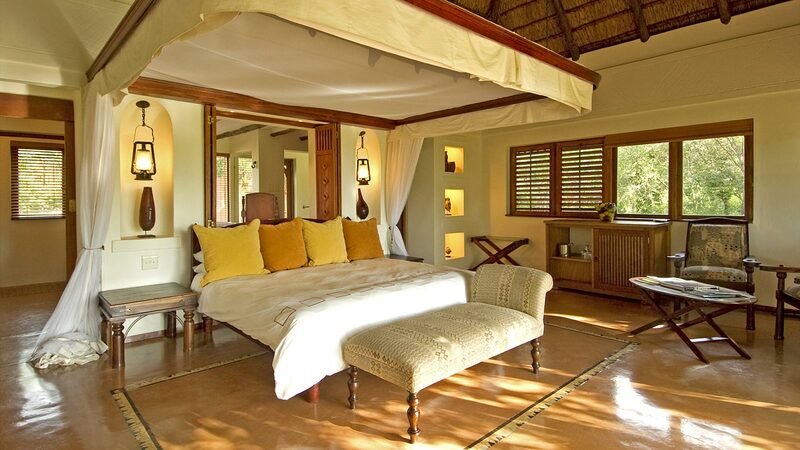 Chobe Chilwero has 14 thatched guest cottages and 1 romantic honeymoon suite. Each cottage has two showers, one inside and one outside. The en-suite bathrooms have a large free-standing bath. After a day of game viewing, what better way to relax than in your own private garden with a cocktail. 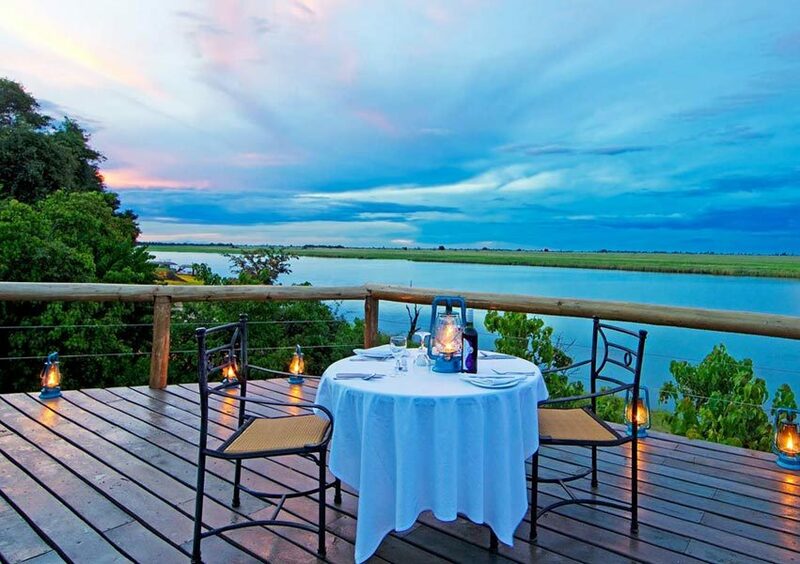 If you prefer to dine in privacy, why not have your gourmet dinner served under the African sky. 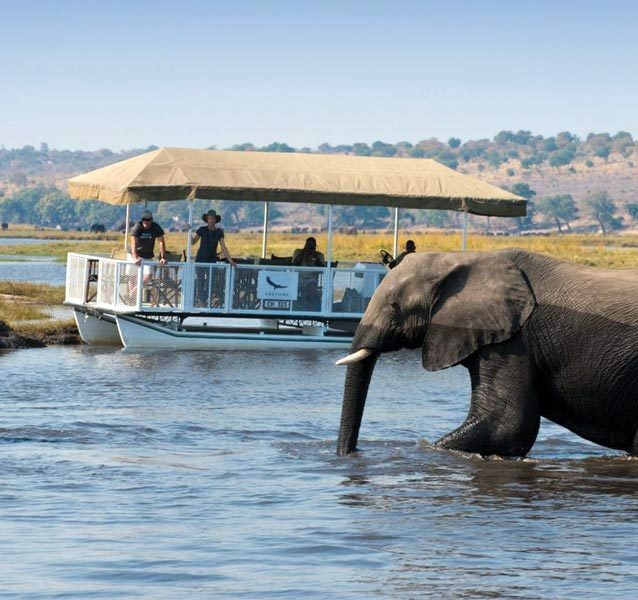 The honeymoon suite at Chobe Chilwero features a private plunge pool and deck area where you will be able to enjoy private dinners for two under the stars. 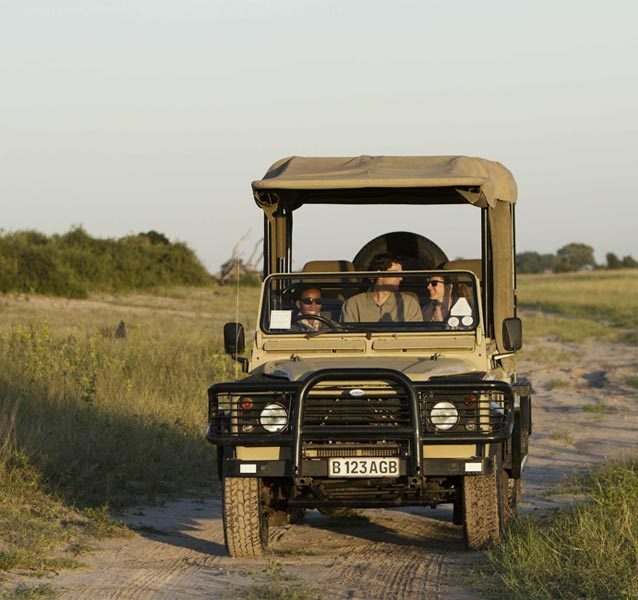 When booking the honeymoon suite, you will automatically get a private vehicle and guide for all game viewing activities. • Rates quoted are for standard cottages. Other room type rates are available on request. 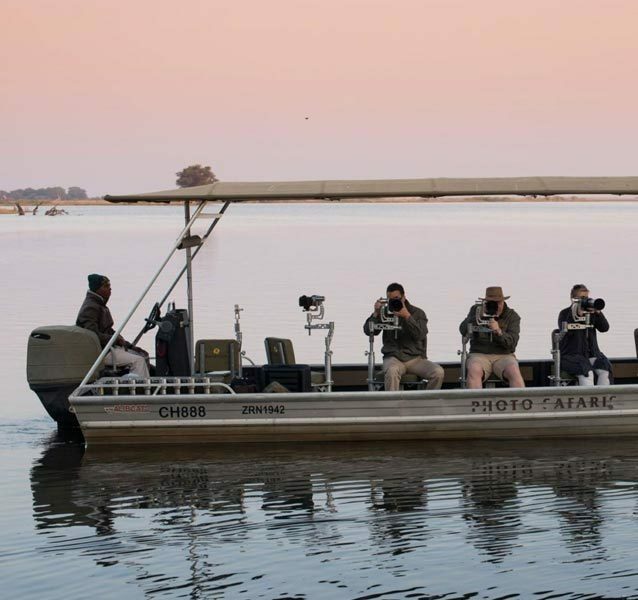 A commitment to conservation and responsible tourism has been an integral part of the construction of Chobe Chilwero and their daily operations. 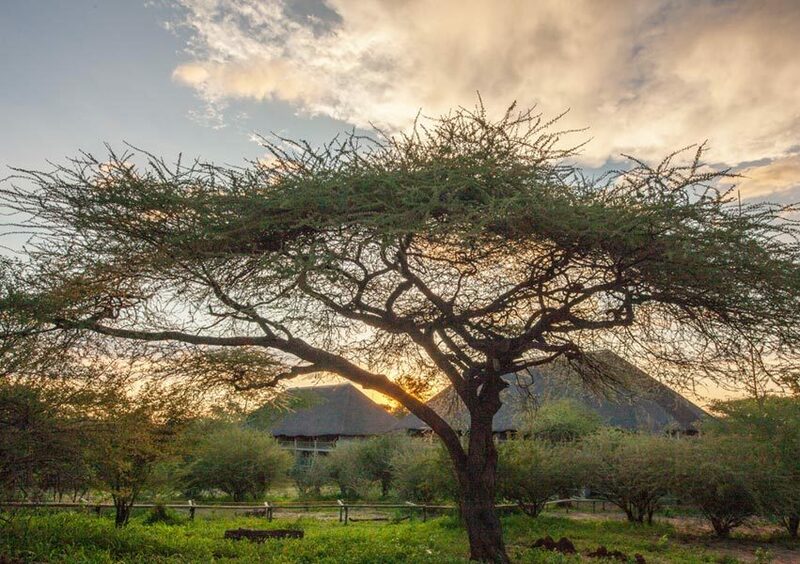 Sanctuary Retreats selects projects based on their potential to create long-lasting relationships with the communities in the areas in which they operate. Their goal is to identify and sponsor long-term, viable and self-sustaining projects that will have the support of their staff and visitors. 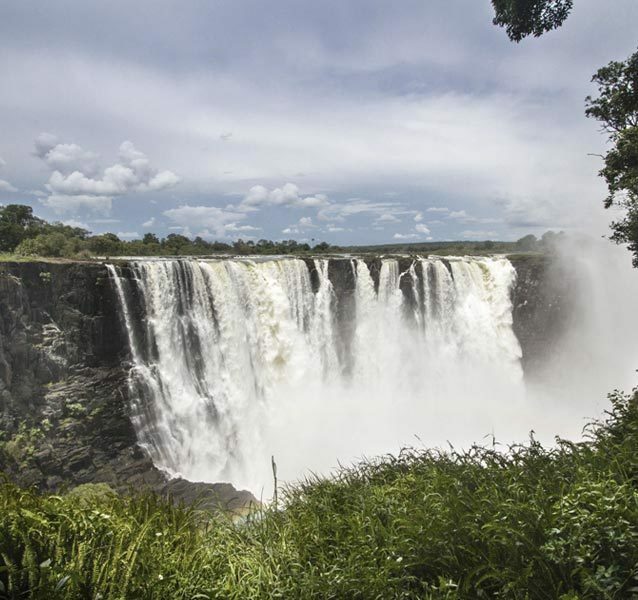 The projects listed below are all collaborative as Chobe Chilwero work closely with the local communities to determine their needs and improve their well-being.